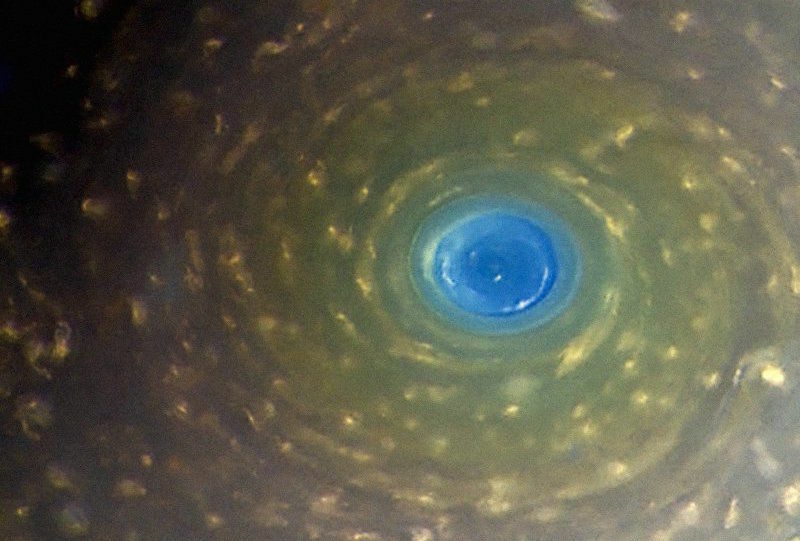 Some stunning recent images of the atmospheric vortex at the center of Saturn’s north polar hexagon were caught by NASA’s Cassini spacecraft this week. The images were taken during the latest of Cassini’s ring-grazing orbits, which have so far produced spectacular glimpses of Saturn’s rings, and its wonderfully pasta-shaped moons. And now, this. It’s difficult for bits of the atmosphere to cross in and out, so any chemical changes within the hexagon tend to stay within the hexagon.